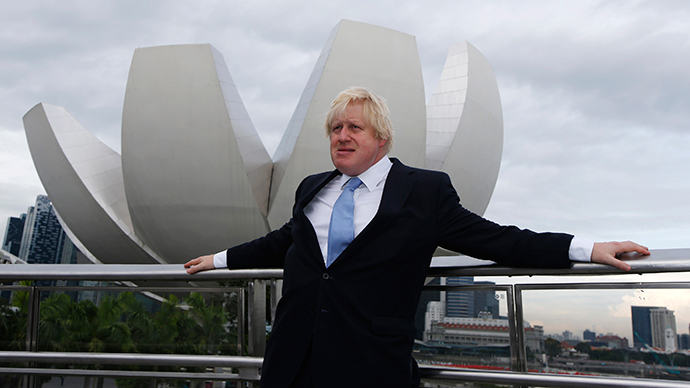 Johnson, who holds dual British-American citizenship, allegedly caved in ahead of a planned visit to Boston, New York and Washington next month. The London Mayor had previously said he would not pay it, arguing he had not lived in the United States since he was five years old. Johnson, who was born in New York, has refused to say how much he owed the American government in capital gains tax following the sale of his family home in North London. United States law requires all of its citizens to file tax returns and pay US taxes, regardless of where they live in the world. Johnson, who is tipped as a frontrunner in the next Tory leadership contest, sold his home in Islington for £1.2 million in May 2009. The Financial Times calculates he would face a US tax bill of just under $44,000 (about £29,000) on the sale, assuming he and his wife shared ownership of the house. The mayor had previously said he would not pay the tax bill when he first revealed his predicament during a tour of the US last November. “I think it’s absolutely outrageous. Why should I?” He said. Johnson has expressed mixed feelings towards his US citizenship, at one point saying he would like to renounce it. Johnson is also likely to pay US income tax in addition to British income tax, as he earns well above the threshold at which no income tax is paid by overseas US citizens, which is £62,000 per annum. On top of the £143,911 salary for being Mayor of London, Johnson also reportedly receives £250,000 a year for his column in the Telegraph.